The Supreme Court ordered Kolkata police commissioner Rajeev Kumar to cooperate with the CBI in the Saradha chit fund scam. The court made it clear that no coercive steps, including arrest, can be taken against him. “We direct the chief secretary of the state and the DGP to file their replies on or before February 18,” a bench led by Chief Justice of India Ranjan Gogoi said. West Bengal chief minister Mamata Banerjee, who was on a three-day 'save democracy dharna' against CBI’s attempts to question Rajeev Kumar, said the court verdict is a “moral victory” and ended her fast. “Rajeev Kumar never said I will not be available. They (CBI) came to arrest. The court said no arrest,” she said. 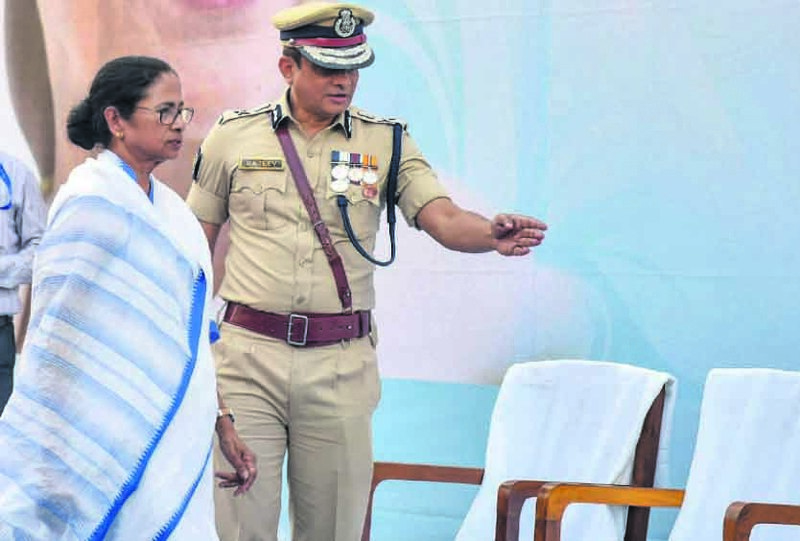 The Mamata Banerjee government has been involved in showdown with the Centre after the CBI came to the Kolkata police chief’s doors on Sunday night to question him. The Supreme Court said Kumar should appear at a neutral place - Shillong. The court said it may seek personal presence of the police officers after it considers the response filed by the chief secretary and DGP. If presence is required then they would be intimated by February 19. Attorney General KK Venugopal, who appeared for the CBI, said the unprecedented events in West Bengal showed there was complete breakdown of the constitutional machinery. The CBI moved the court seeking directions to Rajeev Kumar to cooperate with the investigation in the Saradha chit fund case. The CBI had raised suspicions that the Kolkata top cop was destroying evidence in the chit fund case. On Sunday night, a CBI team was detained by Kolkata police in an unprecedented chain of events that also witnessed chief minister Mamata Banerjee rushing to Kumar’s residence. The CBI officers were taken to Shakespeare Sarani police station and released later under instruction from Mamata Banerjee. In a dramatic showdown with the Modi government, a furious Banerjee began a sit-in right in front of the Metro Cinema to protest "insults" she faced at the hands of Prime Minister Narendra Modi and BJP chief Amit Shah, hours after a CBI team that had gone to question Kolkata Police Commissioner. Banerjee, one of the prime movers behind the effort to cobble together an anti-BJP alliance ahead of the Lok Sabha polls, claimed the CBI knocked on the doors of Kolkata Police Commissioner without a search warrant. Banerjee asked all opposition parties to unite to bring down the Modi government and, in a rare exhortation by a political leader, called upon personnel of security forces of the Centre and states, besides the Army, to "condemn" the attitude of the Modi government.